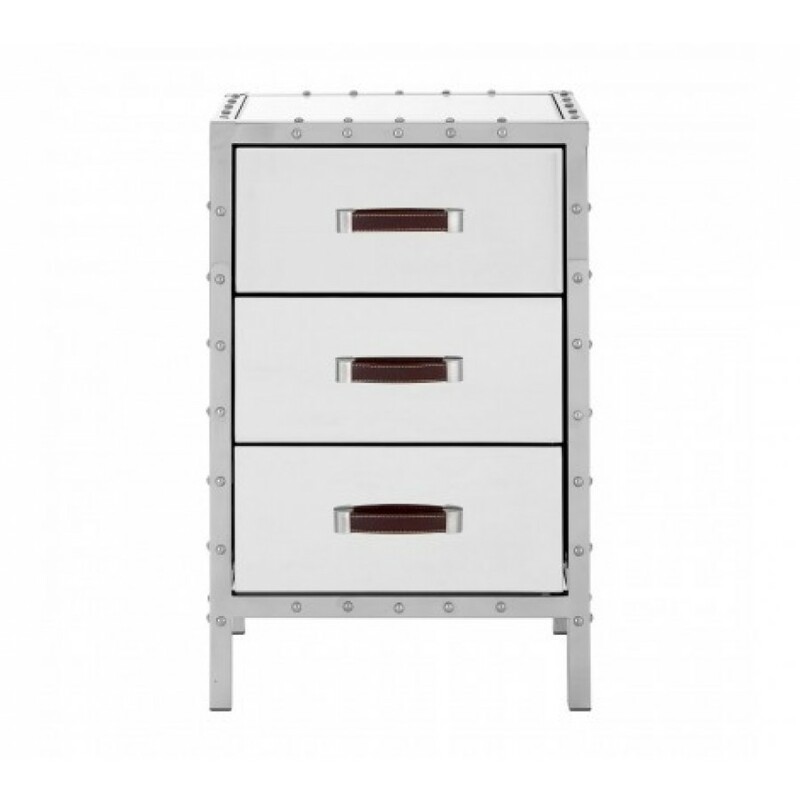 Adding industrial glamour to your room, the striking Rivet bedside cabinet, with 3 drawers, provides a stylish storage solution for your home. The sturdy unit is made from robust stainless steel ensuring durability for everyday use, while the rivet detailing on the edge highlights the industrialised look. Bringing prestige to the cabinet, a mirrored glass finish will reflect style and light into your room. Each of the drawers feature a black leather effect handle allowing you to easily open them, while retaining the chic look. 4 small legs ensure sturdiness and stability, while leaving a small gap under the cabinet for placing your slippers. Whether it's for storing clothing, bits and bobs, reading glasses or books, the rivet bedside table will help you keep an organised and tidy space.